Beginning in 1952, generations of American Special Operations Forces (SOF) raised their hands for the most demanding and perilous endeavors on behalf our Nation. 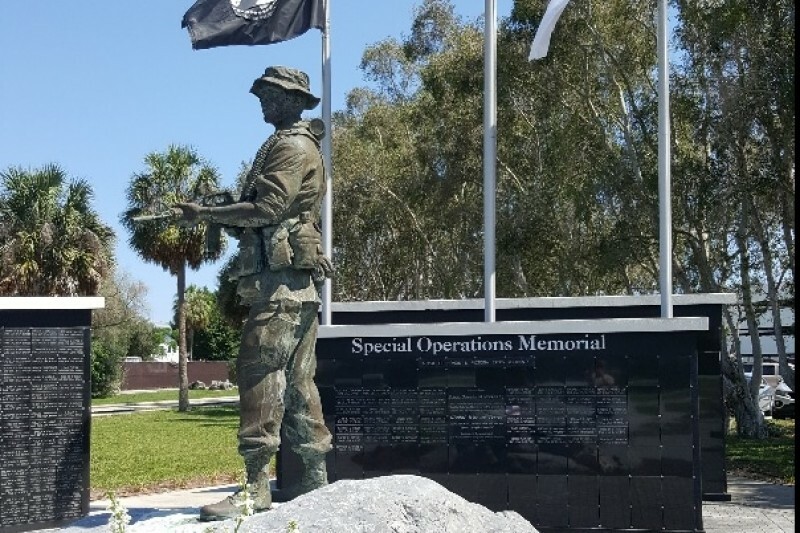 A non-profit SOF memorial in Tampa, Florida is dedicated to and pays tribute to those men and women of Special Operations who have made the supreme sacrifice in service to our Nation. These are the “Quiet Professionals” of yesterday, today, and tomorrow who, as part of a legendary community of uncommonly skilled and uniquely trained ground, air, and maritime forces and civilians. This tribe of special Americans stand ready to meet any challenge faced by our Nation. 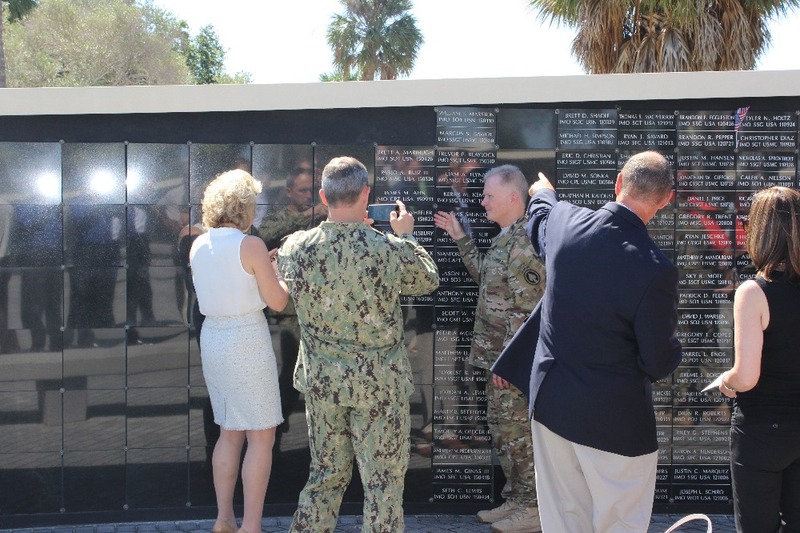 The memorial is the only dedication to the U.S Special Operations joint community in the world. Although wildly successful in recent years, this small SOF tribe of patriots has lost too many teammates. 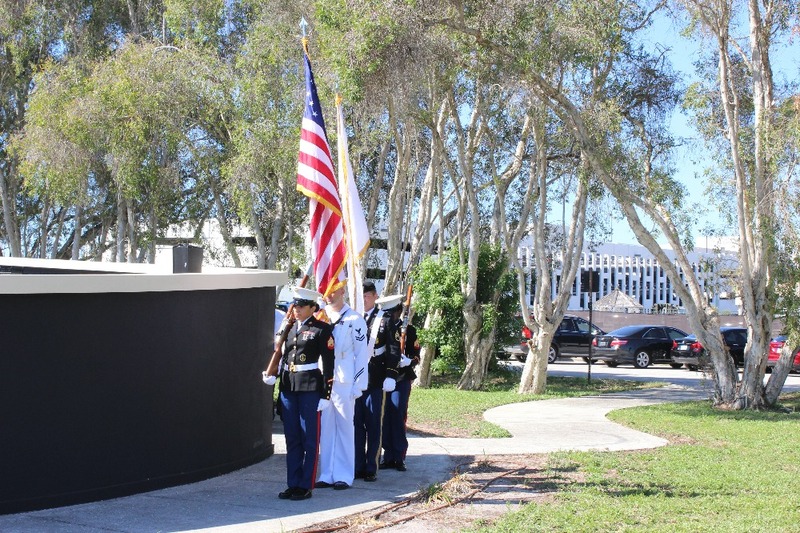 A non-profit memorial honoring the fallen was erected at MacDill Air Force Base, Tampa, Florida. Federal law mandates that no taxpayer funds are allowed to fund any memorial. 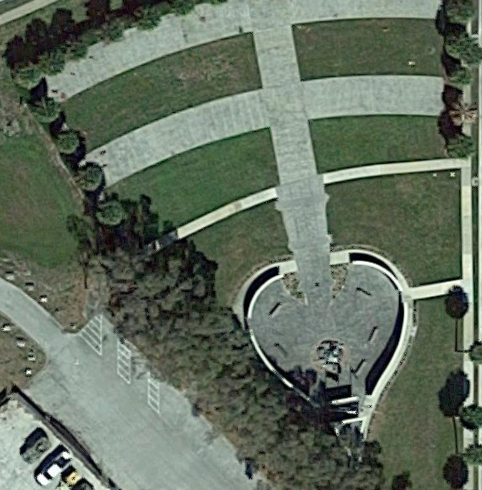 With that, the memorial was built and maintained by donations and volunteer efforts only. 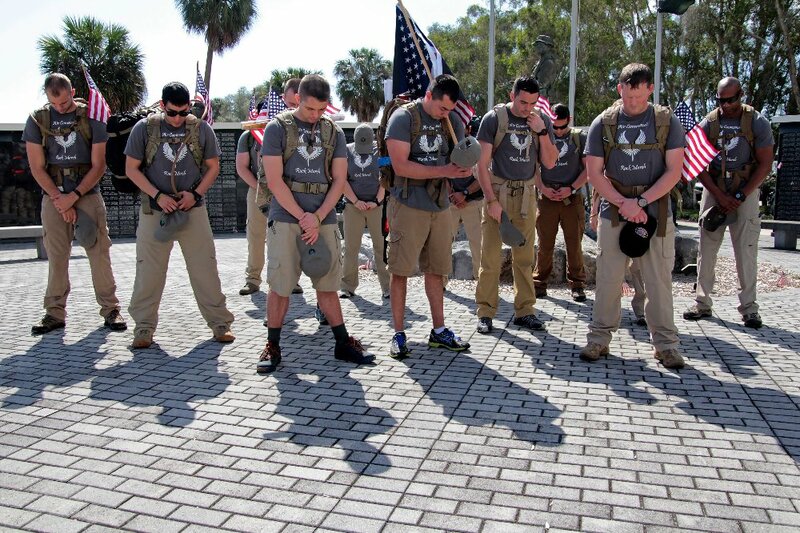 Service members passing through Tampa volunteer their weekends to cleaning and maintaining the site. We are looking for micro donations of whatever you can spare to keep this symbol of their sacrifice alive and well. 100% of money raised through this platform is dedicated to the maintenance of the site, additional names to be etched into the site’s granite, aid to families of fallen SOF, wounded warrior support, as well as emerging projects to better the grounds. Thanks you all for your help in working towards our first goal! We are almost to $2000! I can't begin to tell you how thankful we are to have supporters like you. Please share our page on Facebook to get the word out! 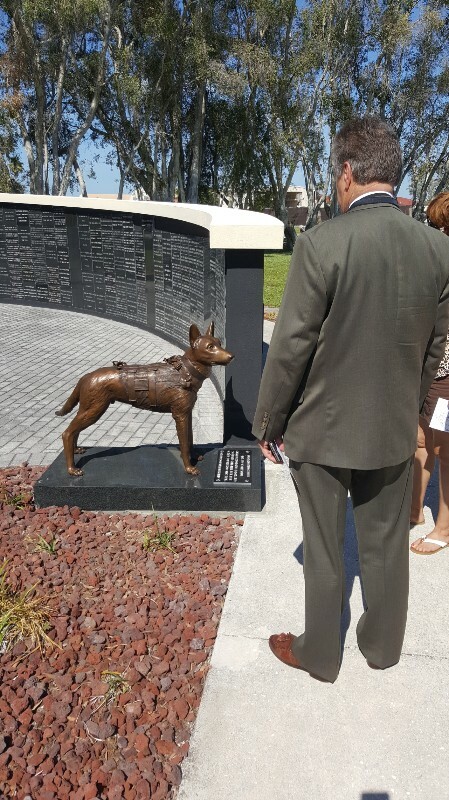 Today we attended the Memorial Day Ceremony at the Special Operations Memorial. It was a somber time as we not only remembered those who died to protect our freedom, but also because of the addition of 12 more heroes names to the wall. Think of the sons, daughters, wives, and parents who are left behind to live life without them. They are why we exist, they are why we built this memorial, they are why we do what we do. To help them through this rough time in their life. 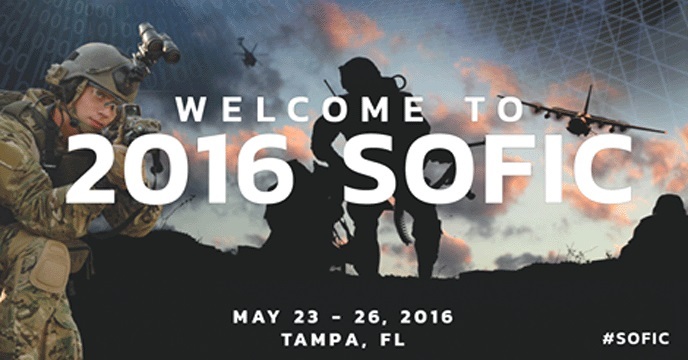 Thanks to all the generous patriots that donated @ SOFIC 2016. Special thanks to @NDIAToday for making it all happen! Here is a picture of the overhead view. It is a spear, the symbol of Special Operations.